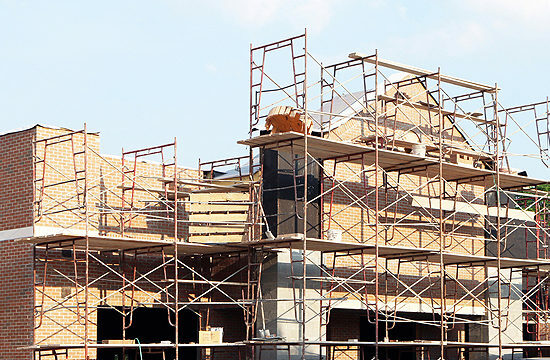 Expert General Contracting Services - Healy Construction Services, Inc.
Let Healy Construction Services put our team of fully-insured experts to work for you. Count on our more than 30 years of experience in retail and commercial interior build-outs, open store remodels, ground-up construction and service work. We are a woman-owned, family-run business that successfully satisfies the construction needs of nationwide clients. Furthermore, our primary goal is to provide quality work at the most cost-efficient price. We consider building the easy part. Working with you to exceed your objectives, meet your timetables and effectively manage your budget is what makes us different. Get the Healy Construction Services difference today by calling 708-396-0440 or contact us online. What Makes Healy Construction General Contracting Services Different? Healy Construction Services believes our people make the difference when it comes to general contracting services our clients want. We provide all clients with an in-house staff of professionals that will work together with your company and affiliates to meet and exceed your construction goals. All of our project managers and superintendents are OSHA-certified, technically-trained and committed to making your projects successful. In fact, they understand every aspect of your job. Then, they communicate with your suppliers to ensure all owner-provided items arrive on schedule. Trust Healy Construction Services when you want general contracting services that keep you on schedule and on budget. We are dedicated to providing you with professionalism and personal attention to satisfy and exceed your expectations. Call us now at 708-396-0440 or contact us online for general contracting, construction management, site surveys or design-build services. Join our satisfied list of nationwide clients like Wells Fargo Financial, TGI Friday’s, Perry Ellis and others today! If you are a prospective subcontractor, please review our subcontractor vendor qualifications and submit a request to work with Healy.